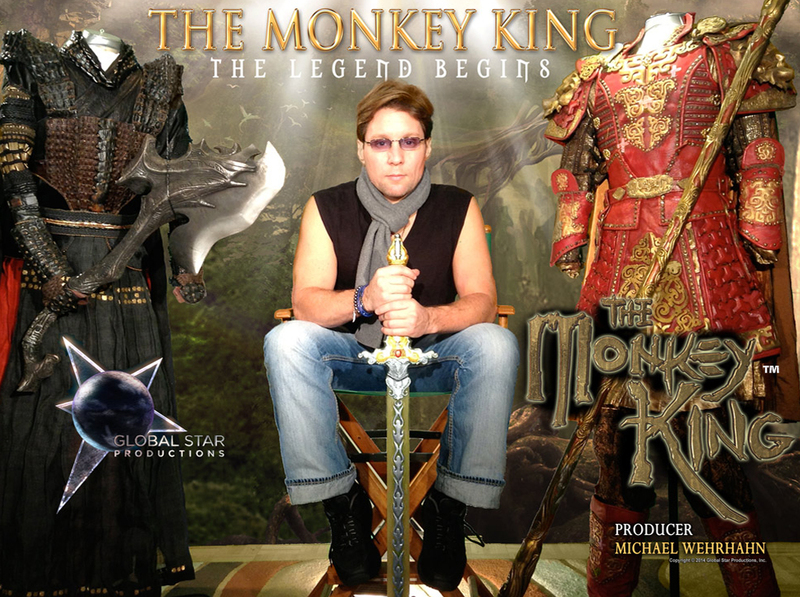 Michael Wehrhahn is the producer of the much anticipated Donnie yen movie “The Monkey King(大鬧天宮)”, where he has spent 4 years working on this to make it a great hit with not only Donnie Yen fans, but Monkey King fans all around the world. Donnie Yen is a Kung Fu legend and has been making great movies for a long time, but since Sha Po lang i feel Yen has stepped up 5 gears and made some incredible movies and i have no doubts that The Monkey King will be another smash hit. The Monkey King also stars many other great stars which include Chow Yun-fat, Aaron Kwok, Joe Chen, Kelly Chen and Louis Fan, a real top star cast. In the novel, SunWukong (The Monkey King), is a monkey born from a stone who gathers supernatural powers through Taoist practices. After going against heaven and being captured under a mountain he later goes with the monk Xuanzang on a journey to retrieve Buddhist sutras from India. But in the first movie of the three scheduled, it shows the birth of SunWukong and how he was born and taught to use his special abilities during a time good and evil were at war on a distant Earth. New technology in recent years like 3D should really bring out the characters in The Monkey King and capture the essence of the movie for the audience to experience the best Monkey King project to date. There has always been a big following of this character with many comics, TV series, movies, stage plays, manga cartoons, games which shows the power of The Monkey King and how highly regarded he is to audiences all over the world. The movie has everything, a superb cast and crew, a world wide fan base which will support the movie and i have every faith this will live up to the hype that people have been talking about for a long time. Not only will this be a hit with Asian audiences, but a hit around the world and i am very excited that this is coming as a trilogy. This will deliver for audiences on the big screen, so when this is released, be sure to head down to your local cinema, grab your 3D glasses and sit back and enjoy the ride.